Summer means gathering in backyards, on patios and on park lawns to dine al fresco with family and friends. And with the 4th of July just a few days away, there’s no better reason to pack a picnic for the fireworks show. I love to make things pretty and functional! No one likes to have a huge mess after the party is over, especially after the fireworks. I will confess that I am addicted to chips and salsa but it can get messy when serving a crowd outside. These boxes are great, easy to load up snacks and then toss when done. Who wants their chips to get soggy? Cupcake liners are just the thing to keep that from happening. Clever right? 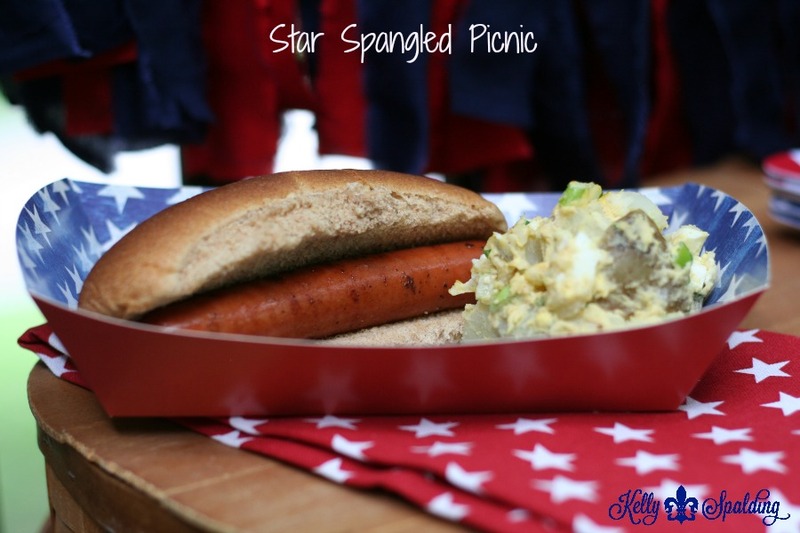 My 4th menu must include hotdogs and potato salad….just like my mom’s and grandmother’s did. I always serve it in a bowl on ice to keep it fresh and delicious. 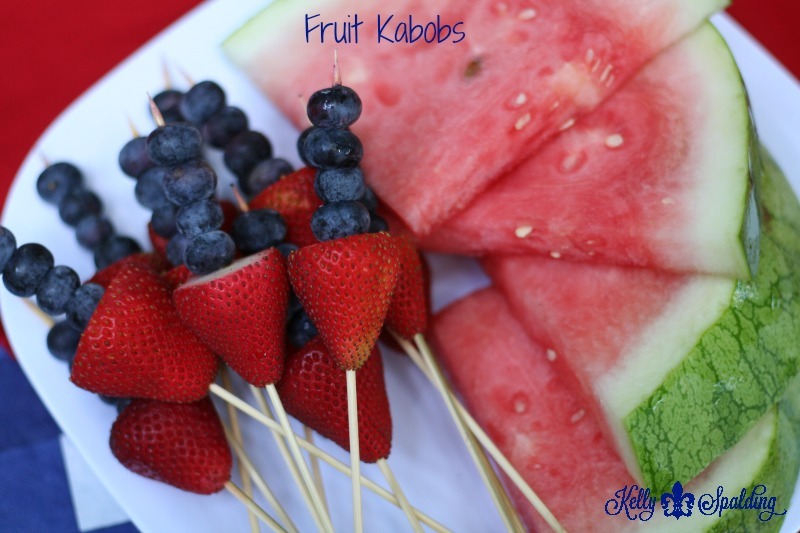 Sliders, wings, deviled eggs and fruit kabobs are my family’s favorite items so of course they are on the menu too. These kabobs are super easy but make a big impact on your guests. I do these first thing in the morning on the day of the picnic and cover them tightly in plastic wrap to keep them fresh. Plus it’s not really a summer party without watermelon! Don’t forget dessert. These little firecrackers are a crowd pleaser and they add a lot of pizazz to your table decor too. I found some great cardboard star cut outs to serve them on. This summer my favorite beverage is what I like to refer to as a “Poptail” A twist on a childhood favorite. I have tried lots of combinations (for research y’all), this one is a pomegranate ice pop with sparkling wine. You’re welcome! So pull out your picnic basket and make it a portable party. Food just tastes better when it is served on a quilt during a warm summer night. Don’t forget a lighter, citronella candles, bug spray, wet wipes, salt and pepper shakers, ziplock bags, flashlights (very important when cleaning up in the dark) chairs, blankets and of course some sparklers! Have a wonderful 4th of July.